A treatment served rightly, ensures the best results. 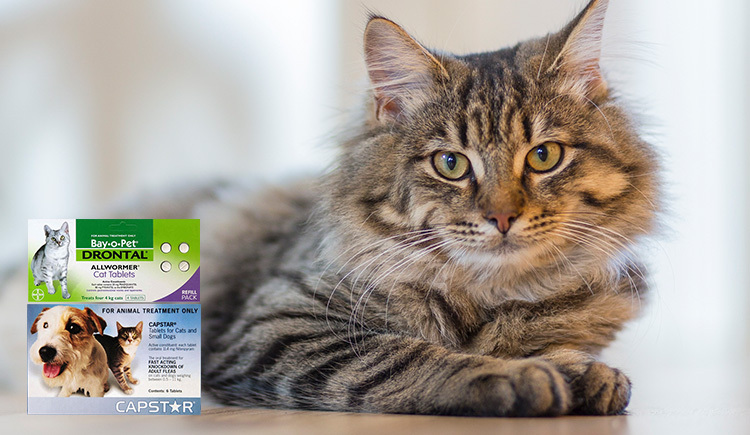 For cats, they are resistant to intake the medications or preventatives that are for the betterment of their health. Being a feline lover or a parent may seem like an easy task but when the responsibilities fall on your shoulder then reality is faced. Saying that your feline obeys what you say might be true but making them eat their treatments is an arduous task. There are certain possible ways though, by which you can administer the treatments and preventions without being it a stressful task. Mix the full tablet as it is in a piece of feed i.e. either meat or a mix, or by crushing and mixing, both are correct ways of feeding an oral treatment to the cat. If you are administering the treatment by the means of feed, ensure that the pet completes her entire meal and properly consumes the medication. Another great way to administer treatments to the feline friends is by using treats. Treats are the best way to hide pills in them. Feline think they are being rewarded and eat these treats. In this form of administration, you need to restrain the feline species by wrapping it in a towel or with the help of a friend or acquaintance. After that put the tablet in the mouth and make her gulp it. After such a strenuous task, reward her with a treat and cuddle her. Capstar for cats, Drontal etc. are a few examples of oral treatments for cats. Now days, as the vet science is advancing, treatments are available in chewable forms. Chews are easy to dose and convenient to administer to the kitties of all ages. This is due to the reason that these are flavored and look like treats when given to cats. Topical treatments are both pet and pet-parents friendly. Especially for external parasite control, cats are applied with these spot-on’s. There are a number of famous and widely used topical treatments on cats like Activyl, Advantage Multi etc. Apart from the spot-on’s, sprays and powders are also widely found to be administered to cats and kittens to make them keep fit.The progressing scientific methods of administration and application of treatments have been useful and will always make it easier for feline parents in future as well.